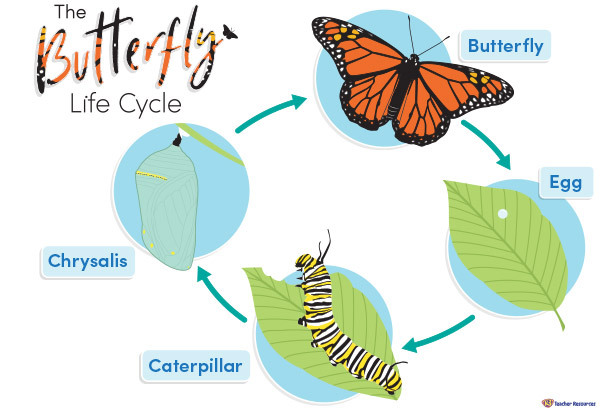 An informative poster that shows the life stages of a butterfly. Ideal to use in Biological Science lessons when learning about insects. What comes next? – Ask the students to research the life stages of a butterfly further by using information books or digital technology.